Fire is one of the greatest inventions of the human race. But at the beginning, it was an uncontrollable thing. When human learned how to control it, it had become a turning point for mankind. It has become the most important parts of human evolution. Now men are using the campfire equipment for many reasons. Without using it, we cannot pass a single day normally. Some uses of fire are cooking, clearing waste, making signals, creating heat energy, creating light etc. At the past, the fire was created with some simple stones and dry woods. But today, we use many tools to light the fire in a gentle and safe way. Because fire will become very dangerous things if we cannot control it in a systemic way. Every day thousands of accidents are happening around the world for the unwise uses of fire. So, it is very important to know how to control it. In the modern world, we use much equipment to light fire. We use those tools to keep it safe and well controlled. 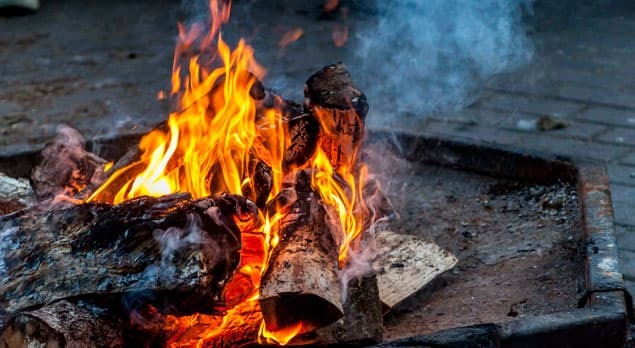 Those are some of the campfire tools equipment that we use regularly and those things are also necessary at the time of camping for traveling, hunting etc. To get the benefits from the fire, you must light fire at first. By using fire equipment you can light fire easily. At the past time, people used stones, dry woods, animal bones etc. to bring fire out. It was a difficult process and took huge time to become successful. Sometimes this types of processes created various problems and accidents. Creating lighter, stove and other tools, men have solved this problem. Campfire equipment help to light fire safely and keep it in a gentle form. So, it can easily be understood the importance of the campfire tools. If the user of fire treats unwisely, it may become a serious issue. Because fire can create huge destruction. In most of the cases, fire spreads out for the campfire tools and fuels. To prevent the fire accidents, you have to store the campfire tools in an ideal way. Keep those tools in a dark, water-resist as well as the air-conditioned room. Don’t store the equipment with flaming things. Gather some fire extinguish tools in the storeroom. When carrying the tools, keep those things away from extra heat, light as well as vibrating mediums. Package campfire equipment in the several packs. If you can use fire in the right process, you will get maximum advantages from it. But first, you have to know how to light fire in the right process. Always keep the extra fuels or flaming materials away from the fireplace. Beware about the spark of the lighters. Use minimum amount of fuel for lighting fire. Wear suitable and fire-resist clothing when you are nearby a fireplace. Put the fire in the right and suitable place and keep it in a certain radius is the necessary step what you have to follow all the time. Fire is an useful as well as a dangerous thing. Also, it is a lifesaving and another hand destructive thing. So, it is necessary to follow some steps for you and other safety issues. Keep children away from the fire and flaming materials. Always beware of your position at the time of lighting. Must avoid the gaseous fuel to start campfires. What fire can do try to understand clearly? Build a camp where it is permitted. Because some places are dangerous for lighting. When your work is finished, turn out a fire and make the place neutral as before. Take the safest campfire tools and Environment-friendly tools for your work. Fire will serve a lot if you can use it well. But careless deeds can bring massive destruction for the user as well as others. So, it is important to store and use the campfire equipment in the ideal process. For the beginner, it is easy to make mistakes. A beginner may follow this guideline to know how to use fire easily and safely.